Hot on the heels of Fiona Bruce making Question Time her own, the BBC have pulled together an all-female presenting team for Newsnight. 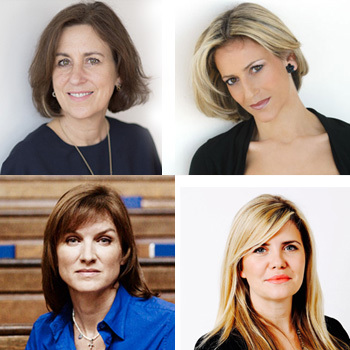 Emily Maitlis becomes lead presenter alongside Kirsty Wark and are joined by Emma Barnett who continues to host her 5Live morning programme; the Wednesday edition comes from Westminster with her interviews often making front page news. Meanwhile on The Daily Politics, Jo Coburn continues to hold the fort as one of the BBC’s most experienced political correspondents, having taken over the reigns from Andrew Neil. She originally made her name covering the first race for London Mayor, and continues to give MPs a thorough and informed daily grilling.